At Connect Chiropractic, we seek to understand why you’re getting symptoms and what those symptoms tell us about the problem you’re experiencing. Your brain, spinal cord and nerves make up your nervous system, which is the master controller of your body. It controls every individual cell, tissue and organ in your body, as well as how you move, feel and function. The communication between your brain and body is directly impacted by the healthy movement of your spine (and nervous system). 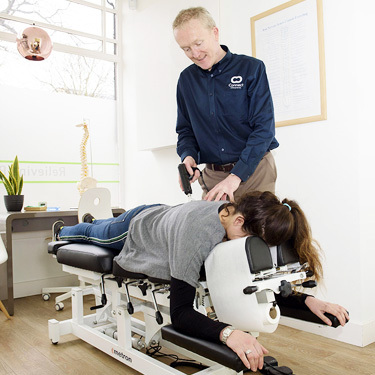 At our practice, we aim to improve the function of your nervous system, by improving the health and mobility of your spine. Rather than masking symptoms, we look at the underlying problem that’s causing those symptoms. Our goal is to address the problem that you’re experiencing using chiropractic care, so your body has the ability to return to functioning optimally. We’ll let you know how long we think it may take to resolve your particular issue. During the first few weeks of care you’ll be seen frequently as we try to get your joint function improving. Your chiropractor will walk you through every adjustment, so you know what to expect. Our desire is to provide care that will get you results as quickly as possible. As you begin to improve we can decrease your frequency of care. As everyone is different, length of care will vary from person to person. You will never feel pressured to be under care for an extended period; the choice is always yours. Discover firsthand the difference that chiropractic care may make in your life. 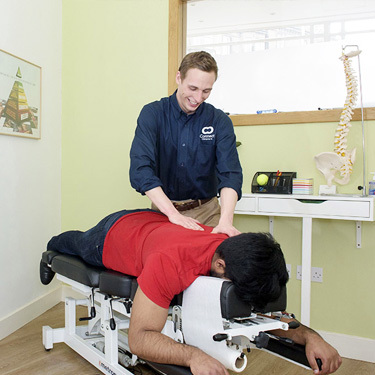 Contact us today to schedule an appointment at our Leith practice in Edinburgh!